Outstanding international students are invited to apply for a PhD scholarship in engineering education at The University of Queensland. Successful candidate will have funding to work and study for three years in Australia. Candidates are welcome before October 07, 2018. The University of Queensland’s School of Mechanical and Mining Engineering maintains a world-class reputation and is at the cutting-edge of engineering education, research and expert consultation across the fields of mechanical, materials, mining, aerospace and mechatronic engineering. The Schools reputation for research excellence attracts academia from around the world. Our diverse research programs address the evolving needs of industry and society, and contribute to economic and social development. The Schools established research strengths in hypersonics, light metals, geothermal energy and mining technology, are complemented by continued growth in areas such as solar thermal, composites, steels, surface engineering, metals manufacturing and rock mechanics. Design low-cost, low-toxic and high performance copper selenide-based thermoelectric materials. The direct energy conversion between heat and electricity, based on thermoelectric effects without moving parts, has been considered as a green and sustainable solution to the global energy dilemma. This project aims to develop novel band-engineered copper selenides for high-efficiency energy conversion using novel microwave assisted wet chemistry approach, coupled with nanostructure and band engineering strategies. The key breakthrough is to design high performance copper selenide thermoelectrics for satisfying the high efficiency solid-state devices. The expected outcomes will lead to an innovative technology that waste heat recovery and refrigeration, which will place Australia at the forefront of practical energy technologies. Domestic candidates should have an Honours degree or equivalent in Materials Engineering (or related disciplines) and must meet the requirements of admission into the PhD program (https://graduate-school.uq.edu.au/uq-research-degrees. The research group is very dynamic and fast moving and hence it is crucial that any candidate is a team player with an independent and professional work ethic. The candidate must have excellent communication skills in terms of both written and spoken English language expression. International candidates will be considered if they have attained a Masters degree (by course work or by research) and have published at least one journal paper. 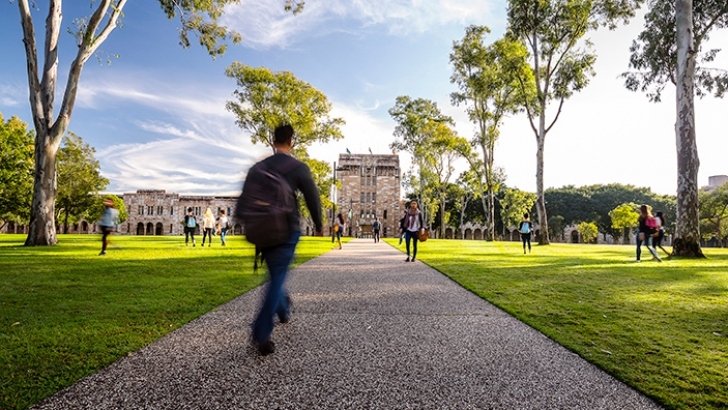 International applicants must meet the University of Queensland’s English Language Proficiency (ELP) requirements (https://graduate-school.uq.edu.au/english-language-proficiency-requirements). The base stipend will be at the rate of AUD $27,596 per annum (2019 rate) tax-free for three years with the possibility of two six month extensions in approved circumstances. - The name and contact details of three referees who can best comment on your prior research experience. UQ will contact your referees directly, but you will need to enter their details into the application form.